A French tradition that can't be ignored are cheese platters. A cheese platter for dessert, or with a nice glass of wine. The Lou Laguiole cheese knife set completes the setting of your cheese platter. 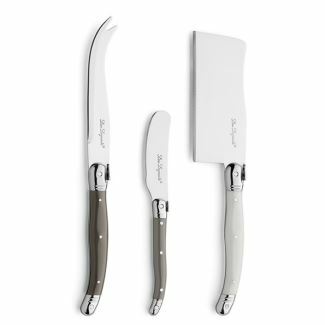 All sorts of cheese are easily cut with the three different cheese knives. 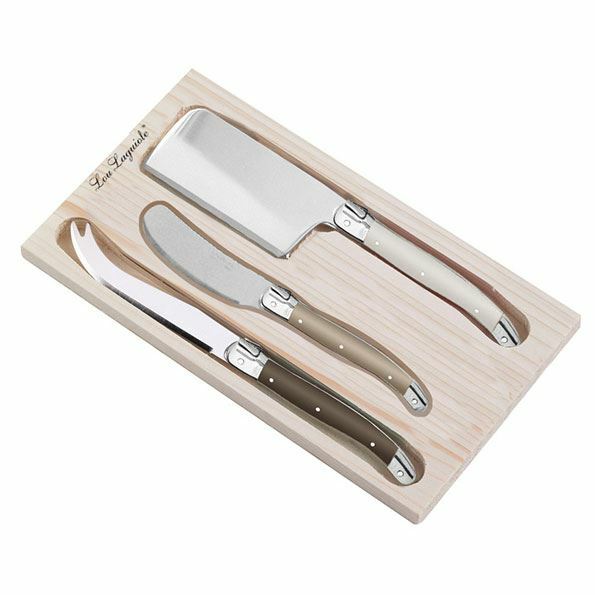 The cheese knife set comes in a stylish wooden box. The 3 piece cheese knife set is available in mixed colors.